At BrightStar Care, we believe that caring is more than just a job– it’s a way of life. That’s why our caregivers mean so much more to the people, families, and organizations they serve. Now with over 300 independently owned and operated locations nationwide, BrightStar Care nurses, therapists, CNAs, and caregivers deliver professional and compassionate care in the comfort and familiarity of home. 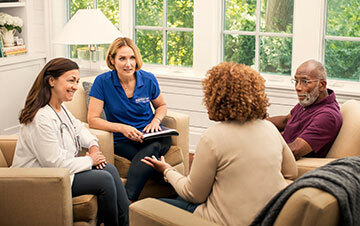 We are proud to provide the full range of home care services to meet your loved one’s unique needs. From companionship, bathing, and hygiene assistance to in-home infusions and medication management, our professional care staff is available 24/7 to help when you need it most. We started BrightStar Care after having our own challenging experience with home care. Client stories about how BrightStar Care made a difference in their lives. Our RN-led Care Teams deliver expert, compassionate, and personal care.